A wild London Fashion Week awaited me at the HARPER & BLAKE launch of their gorgeous AW16 scarves. 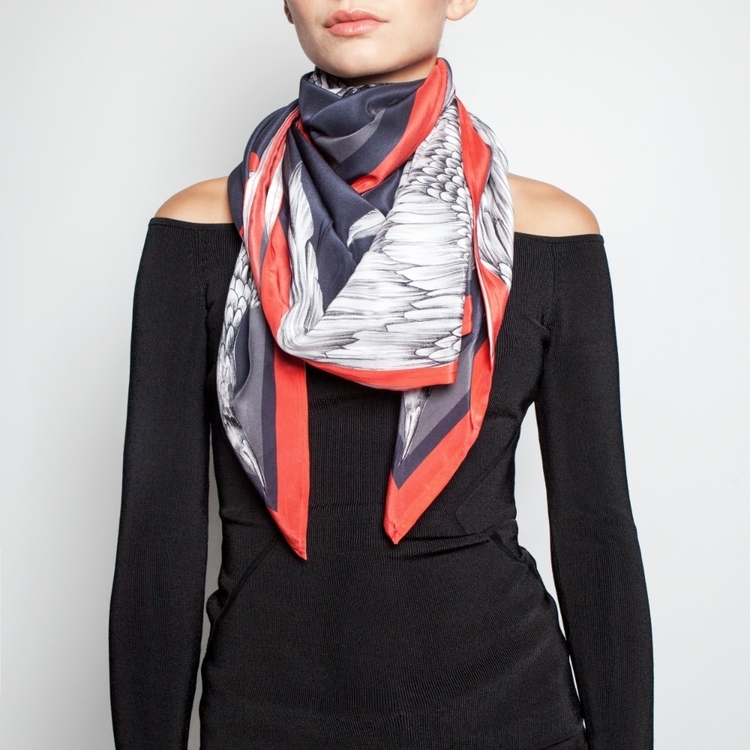 Suitably entitled "PREDATORS", the eight piece collection is loaded with natural motifs and fierce animal prints, celebrating the inner strength of the modern woman through metaphoric visuals comprising of birds of prey, snakes, leopards, octopuses and lizards. HARPER & BLAKE were originally made famous for their striking smart phone cases, but their debut into fashion is not to be overlooked. The duo, Harper and Blake, have differing styles, but have blended their visions for their brand to provide something for any wardrobe. 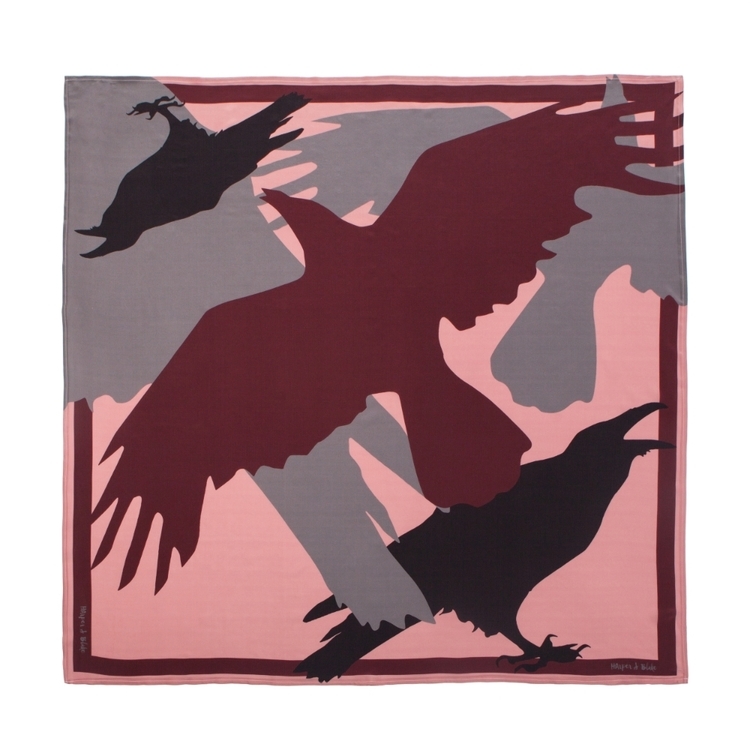 Strong personalities, Harper exudes a "refined and classic" aesthetic, whereas Blake sources inspiration from the unusual and unique. 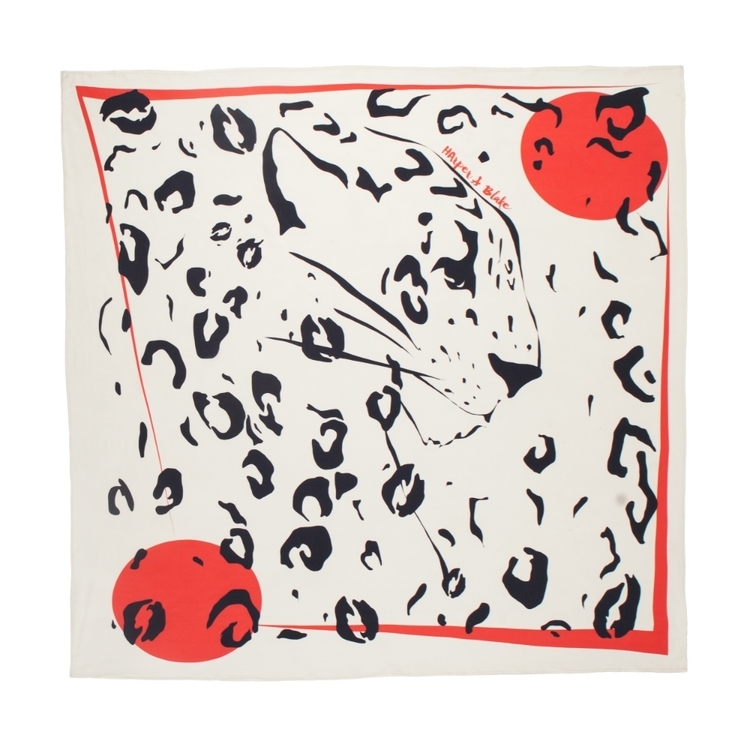 Together, they have developed an eye-catching collection that appeals to the wild side of anyone's personal style. 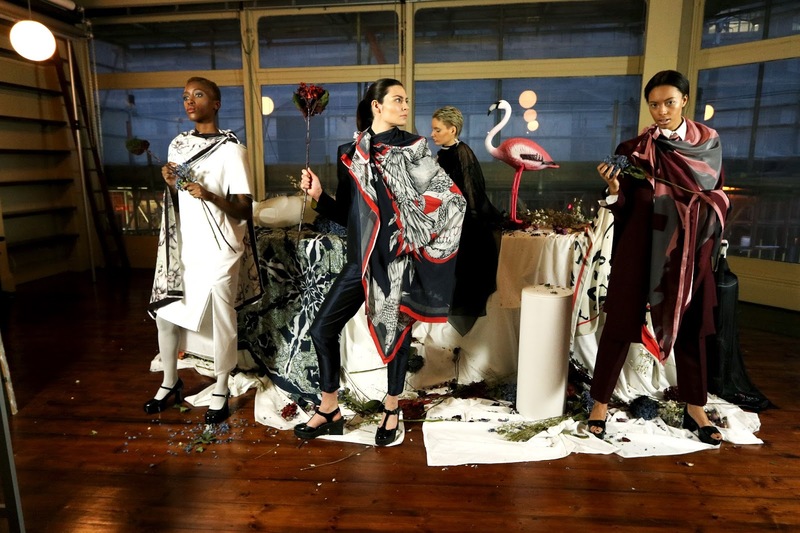 The fashion presentation itself was impressive, the team pulled in JOSEPH STEPHEN as art director and producer, who had been working on it for about three months from the proposal to showcase stages. Known for his work with OMAR MANSOOR, TATLER, and other high end clients, JOSEPH STEPHEN had to organise the talent, book the location, promotion, and design the space. It was interesting to catch up with JOSEPH STEPHEN to get a glimpse into the delivery of the debut itself, for example, he liaised with the stylist to choose accompanying garments, makeup and hair styles, as well as designing and creating the set itself. Sometimes it's hard to imagine all the work that goes into the final product, especially when it runs so smoothly. 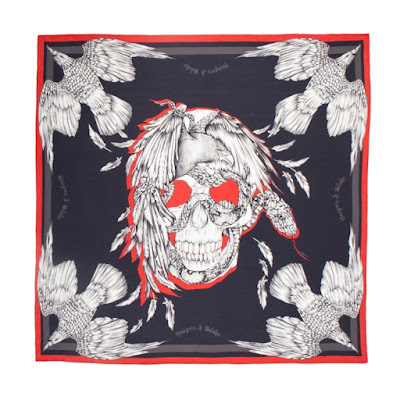 The scarves were designed by ALINA ZAMANOVA, already a tour de force in the fashion industry (having worked for Alexander McQueen among many other famous names). 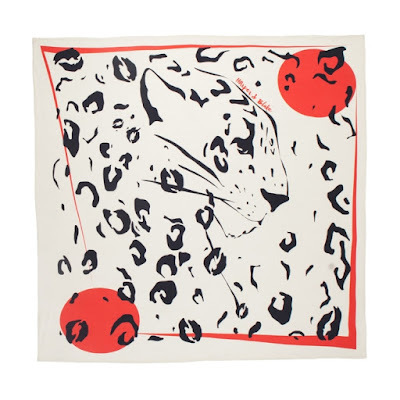 ZAMANOVA's stunning eye for detail, placement and colour work is clear; printed on high quality silk, the designs are presented on a bold and bright canvas measuring a generous 136cm x 136cm. The models at the presentations moved very beautifully in them; I particularly loved the sizes of these, as they are perfect for layering and manipulating to suit a variety of outfits. Pre-order now (before end of March 2016) and receive 65% off the original retailing price!